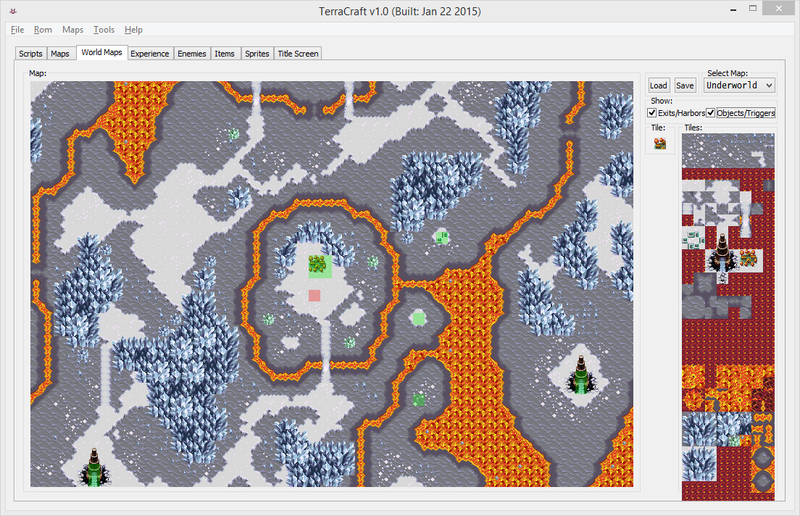 TerraCraft is an editor for the SNES RPG Terranigma. Currently only the German, Japanese, Spanish and United Kingdom ROM are supported. Expanded ROMs are supported (6MB), use Lunar Expand and choose “48 Mbit ExHiROM (6MB)”. When using an expanded ROM maps are saved into the new area allowing maps to take up any size.